The concert dedicated to the 115th anniversary of Aram Khachaturian was a great success. The music evening was opened with a speech by Ms Victoria Baghdasaryan, Ambassador of the Republic of Armenia in Italy and Malta who greeted the audience and Hon. Dr Owen Bonnici, Malta’s Minister of culture. 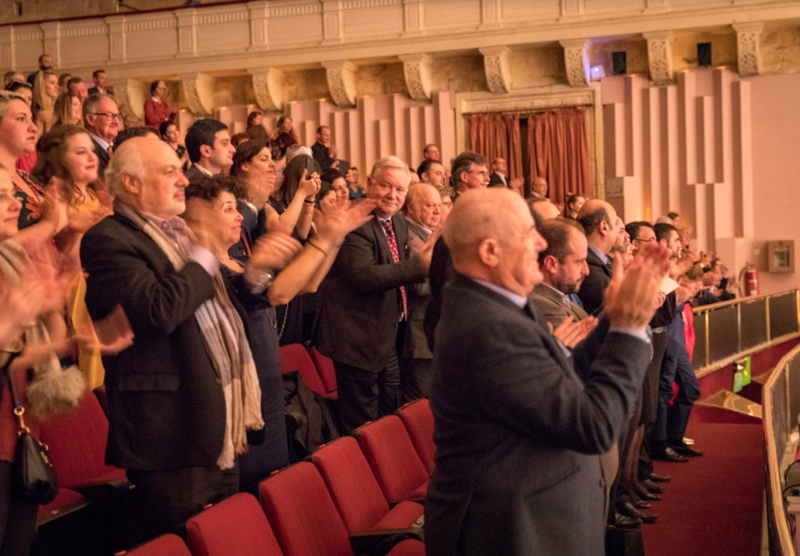 The audience gathered in the Republic Hall of the Mediterranean Conference Centre enthusiastically welcomed the famous Waltz from Lermontov’s drama Masquerade. The Armenian conductor Sergey Smbatyan, who had already successfully collaborated with the Malta Philharmonic orchestra on several occasions, once again was leading the musicians with incredible energy and charm. 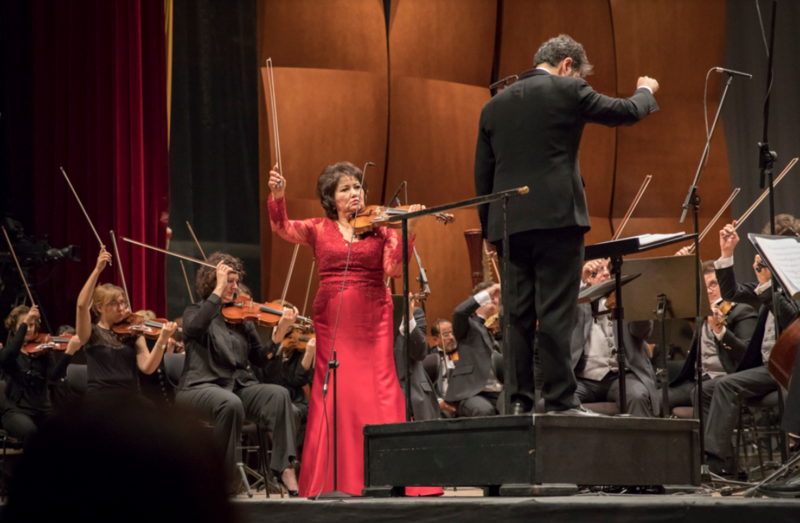 The famous Kazakh violinist Aiman Mussakhajayeva, one of the outstanding performers of Khachaturian’s Concerto, presented a bright, virtuoso and exciting interpretation of the composition.